Canada hosted the CIOR Summer Congress in 1980 in Montreal, and again in 1990 in Calgary. 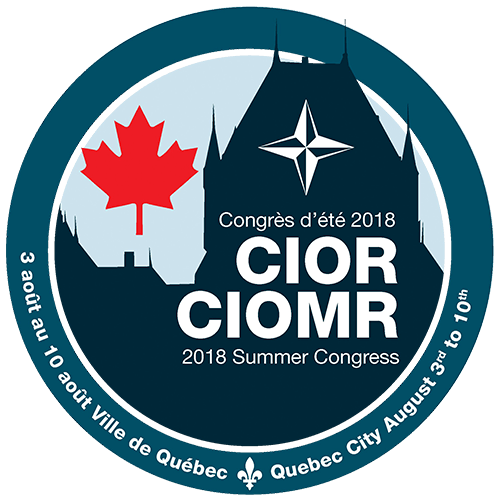 As a concrete sign of Canada’s international commitment and as an active member of CIOR, the 2018 Summer Congress will be held in Quebec City, Canada, from 3 to 10 August. The selection of Quebec City allows for this event to be hosted in a vibrant city that can easily accommodate the conference demands along with access to world-class military facilities such as the Citadelle, the Pointe-à-Carcy and the Canadian Forces Base (CFB) Valcartier that are perfectly suited to support the Summer Congress. The Old-Quebec district has been designated a World Heritage Site by UNESCO. Quebec City is listed among the top 20 most visited destinations in the world for their safety and quality of life. A French-speaking city with European charm, its cultural dynamism is enhanced by its natural assets. The different venues used during the congress will mostly be within walking distance.